I have been working very hard at my job as Adjutant & enjoying myself at it very much indeed; so much so that I shall now be quite sorry to have to give it up when Allen comes back. It is just the job for me & suits me down to the ground. Plenty of opportunity for organization which I love, & still more for swank which I never could do without. I now appear on a horse always, spurs & a switch complete. I have to keep a groom & fairly do things in style. I am afraid there is no chance of leave for three weeks or so at least. We shall have to go to the trenches again soon, & simply cannot spare the officers to go running away on leave. 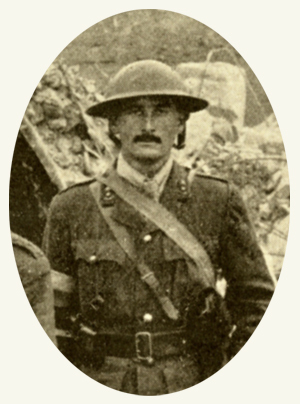 Beasley, wounded at Ypres, has come back to us & brought with him another new Subaltern. We hear Knighton is coming out again, & with him Barrowcliff who left us right back at Sawbridgeworth. Also three new Subalterns of quality unknown. With regard to Pringle I am afraid the Corporal was killed – a very great pity, he was a good fellow. A. Company suffered pretty heavily, & curiously enough the only surviving officer is Thomson, 6ft 5 high & a man who would never trouble to try & take cover or make any elaborate arrangements for his own protection; if there was anything to be done anywhere. Lawton has died of wounds & the other two were killed outright.